Adaptive Insights held its annual user group meeting recently. 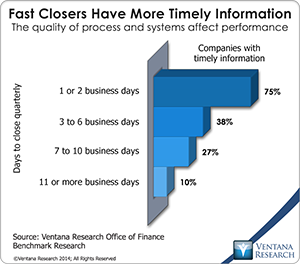 A theme sounded in several keynote sessions was the importance of finance departments playing a more strategic role in their companies. 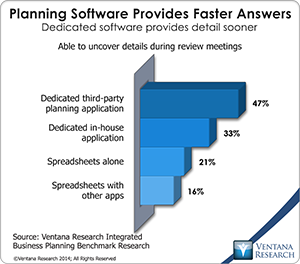 Some participating customers described how they have evolved their planning process from being designed mainly to meet the needs of the finance department into a useful tool for managing the entire business. Their path took them from doing basic financial budgeting to planning focused on improving the company’s performance. This is one of the more important ways in which finance organizations can play a more strategic role in corporate management, an objective that more finance organizations are pursuing. Half of the companies participating in our Office of Finance benchmark research said that their finance organization has undertaken initiatives to enhance its strategic value to the company within the last 18 months. Price and revenue optimization (PRO) software uses analytics to help companies maximize profitability for any targeted level of revenues. PRO utilizes data about buyer behavior to gauge individual customers’ price sensitivity and predict how they will react to prices. It enables users to charge buyers who appear to be less sensitive more than those who appear more price-sensitive. PRO is a significant departure from inward-focused, single-factor pricing strategies such as cost-plus pricing or, in the case of financial services, risk-based pricing (using a borrower’s credit score, for example). Instead it offers a multifaceted customer-centric analytic approach to pricing built on analysis of large sets of data. There’s a long history of companies not paying close enough attention to the contractual elements of acquiring software. Today, this extends into the world of cloud computing. 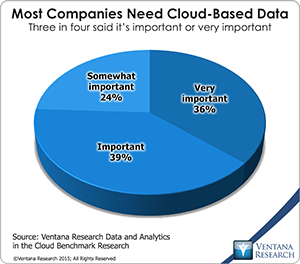 Many companies are choosing to acquire software services through cloud-based providers and increasingly rely on access to cloud-based data, as is shown by our forthcoming benchmark research, in which a large majority of participating companies said that having access to data in the cloud is important or very important. As they say, I’m not a lawyer and I don’t play one on television, so what follows is intended to be nothing more than a conversation starter with legal counsel. But I do advise companies on how to use software to improve their business performance and provide guidance on what software they need to achieve their objectives. From that perspective, let me offer this blanket recommendation: Your company should examine the terms and conditions of its contracts carefully to be certain that it has the ability to control, access and retain its data in single or multitenant cloud-based systems. It should be prepared to add terms and conditions to any software-as-a-service (SaaS) contract to preserve ownership of and access to the data as well as other proprietary elements of that business relationship.